Just 24 hours. That’s all we had on Inis Mór. It’s not enough time to do all the things we wanted to do. The last thing we wanted to do was to climb on board a tour bus. Hubby spends enough of his time driving buses so even if it meant we missed out on some of the landmarks, for the most part we walked. 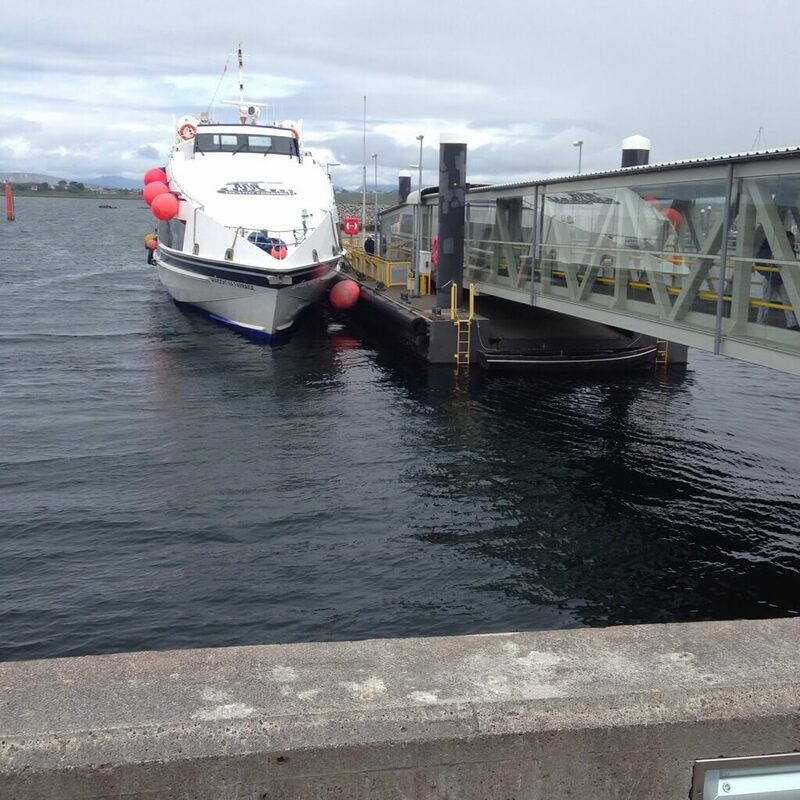 It takes about 3 hours from Dublin to Rossaveal Harbour, where you can park your car to get aboard the ferry. You can also travel to the Aran Islands via Clare but this was the best option for us. We stayed in the Mainistir Hostel which is about 2km outside of Kilronan in the townland of Mainistir. They have a dedicated family area where you can book adjacent family rooms, and it’s private to the rest of the accommodation. For the 5 of us, including breakfast, it only set us back €100 for the night. It’s about a 20 minute walk up a hill, 30 minutes if you’re pushing a buggy with bags and cranky toddlers/teens. Joel (proprietor) will also cook an evening meal for the very reasonable price of €15 per person for a mainly vegetarian buffet cooked from local ingredients. It has been highly recommended to me, but we didn’t get a chance to try it out as dinnertime was a bit too late for the small ones. I do trust the recommendations I got from more than 1 learned person so it’s certainly something to bear in mind if you want excellent food cooked for you on a budget. Otherwise there are ample cooking facilities in hostel. The breakfast by the way was all homemade. Some freshly boiled eggs, homemade blackberry preserves, muffins still warm in the cases, lashings of toast, fruit compote and yoghurt. There was also a selection of cereals, all eaten in front of a massive window overlooking the sea and washed down with a giant pot of strong tea. I could have stayed there for hours. Having dropped our bags at the hostel and checked out the beautiful rooms, we decided that if we did one thing, we wanted to visit Dún Aonghasa – a massive fort which has now partially fallen into the sea. We ended up having to get a lift as the kids wouldn’t have walked that far. There is a fee for admission but it was well worth it as significant investment has been made into the footpath, heritage centre and the views from the top are, quite simply, breathtaking. 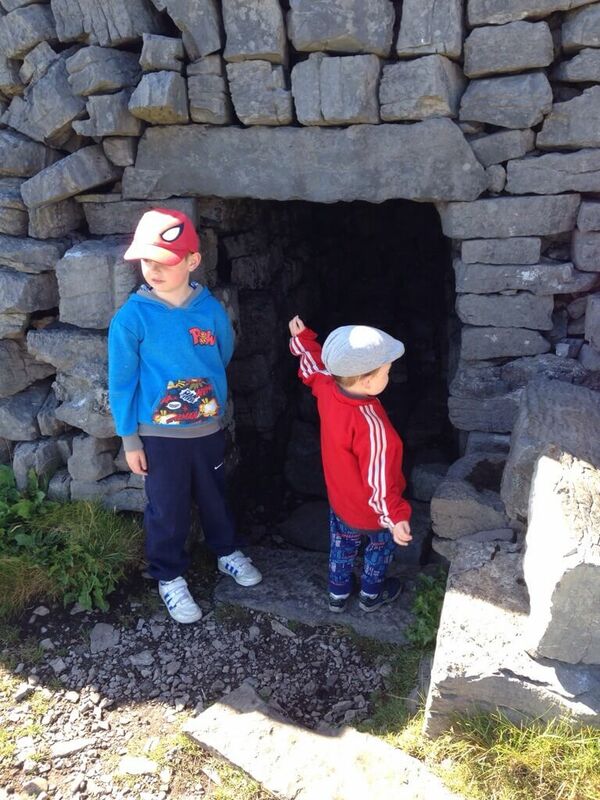 While we were up there the boys indulged in a bit of dragon-hunting, as they deemed it perfect for a lair. We did bring the buggy halfway up the trail, but do bear in mind it’s not a great location if you have very small children and/or have mobility issues. We trekked back down past the centre, and walked onto the beautiful white beach of Kilmurvey which is also a blue flag beach. I wish we had more time there. Once our lift had dropped us off at Tí Joe Watty’s, we ordered dinner which was hearty, full of flavour and masses of comfort food. Everybody cleared their plate and their homemade brown bread ice cream with butterscotch sauce was the perfect way to finish the meal. Just down the road, beside the school and overlooking the bay is a huge playground suitable for all ages. We decided to let the kids have a run around before bedtime and basically had the place to ourselves for the evening. It’s well signposted so if you do have kids on the island, it’s worth checking out. 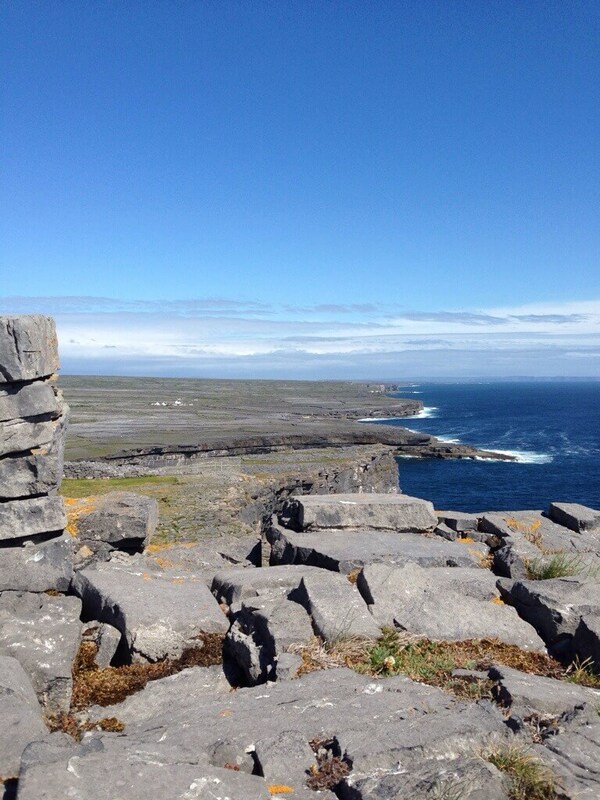 1 day is just not enough if you want to take in all that Inis Mór has to offer. There are plenty of bikes available for hire off the pier, along with carriages for small children and helmets. I highly recommend you rent bikes to get around. Bring decent rain gear as the weather can change in an instant. There is a large supermarket in Kilronan so if you’re staying in a hostel, consider stocking up on provisions there before moving to your accommodation and catering for yourself. Our meal out, while lovely, was quite expensive. It really depends on what you’re looking for as I was delighted not to have to cook and clean up afterwards for a change. There’s this thing called “Island Time” which means things will happen when everything falls into place. If somebody makes and arrangement to meet you at 2pm, don’t be surprised if they’re a half an hour or more late. The ferry however always runs on time. Speaking of ferries; there is a family rate for a return crossing which I investigated by telephone in advance. Yet when I rang a day later to book 2 adults, 2 children (the 2-year-old goes free), I neglected to mention I wanted a family fare and so I was charged €20 more than the family rate. Be very clear on the telephone which rate you want as by the time I had booked it was too late to change it and it was my own fault for not being crystal clear on the phone. Can I go tomorrow? The Aran Islands hold a special place in my heart. I’ve visited them many, many times before. 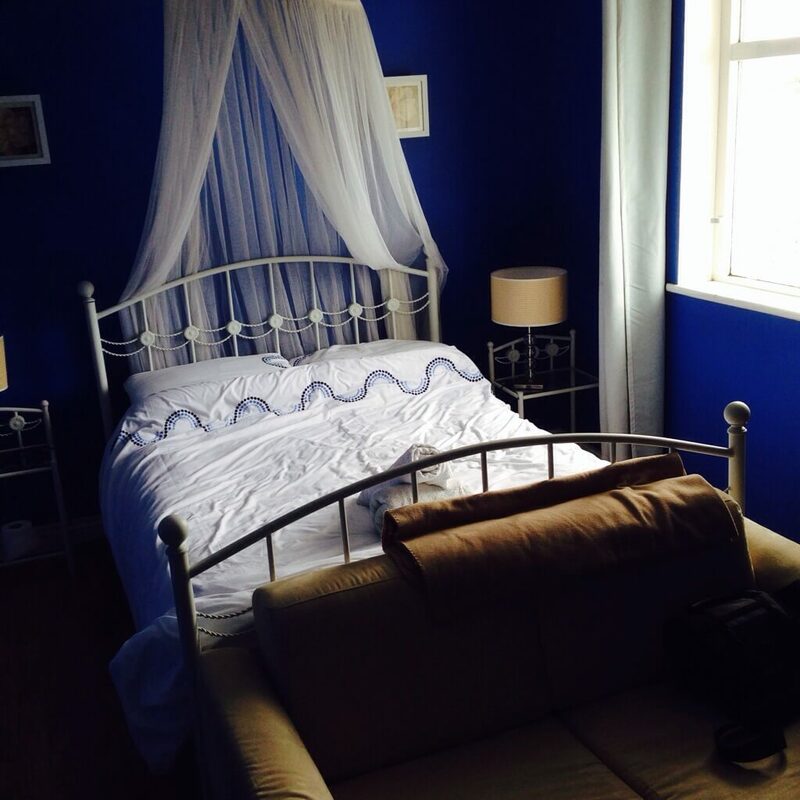 Next time though I would like to rent somewhere for a few weeks rather than just staying for 1 night. Everything done at our own expense. All endorsements my personal opinion. That’s on my travel list too, lovely article, thanks.